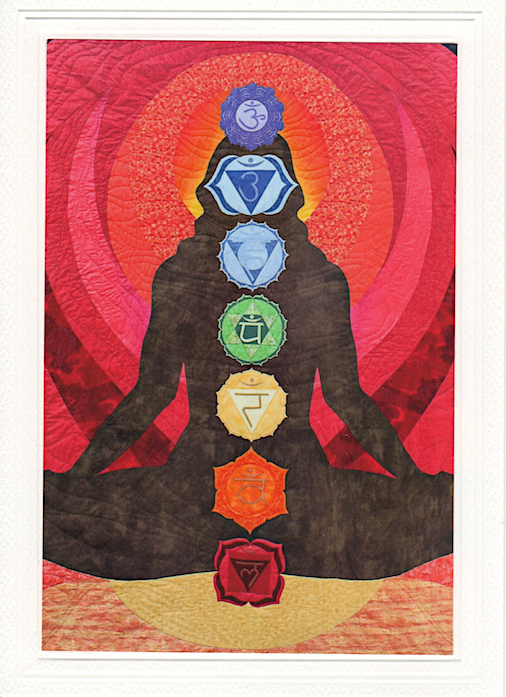 I am happy to be making my series of Chakra quilts available on blank note cards. Photographs of my art quilts are mounted on heavy weight card stock with matching envelope. 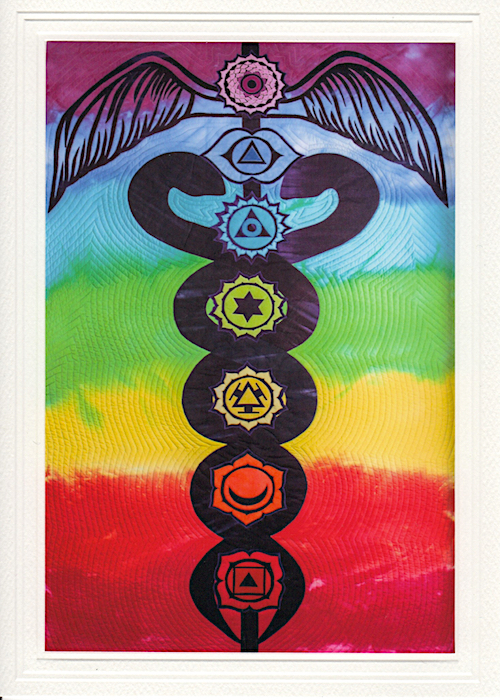 Chakra is a Sanskrit word that means wheel of light. These spinning centres of vitality move energy up through our bodies keeping our physical, spiritual, and emotional selves in harmony. 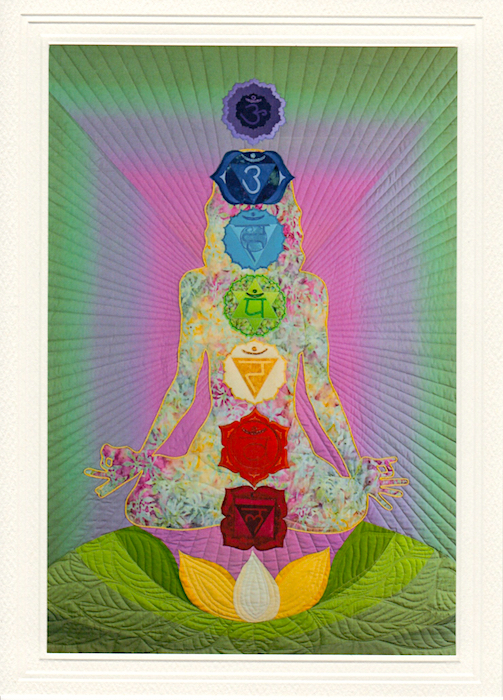 Danielle’s Quilt was the first chakra quilt I designed and made for my sister-in-law whose body was out of alignment – she had been diagnosed with breast cancer. 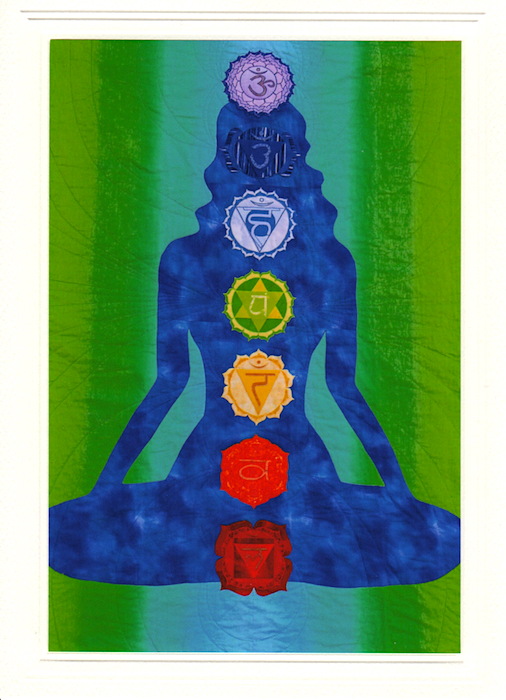 Each chakra is appliqued in the colours and symbols associated with that area of the body. The Vibrant Path quilt was entered into the Sacred Threads Exhibit and I documented the process in previous posts. 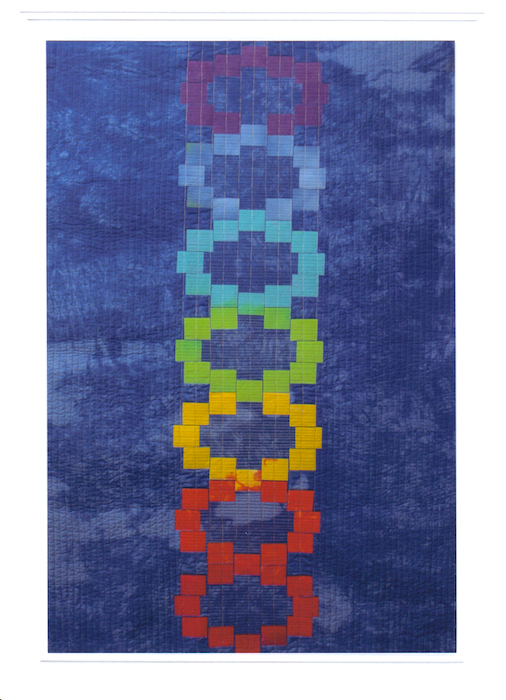 The Chakra Quilt above was a commissioned piece. It is the largest in this series at 90″ by 105″. I love the flames of orange and red behind the seated figure! Radiant Light was purchased by a healthcare professional and is hanging in their office. This quilted art piece has also been published in the book: Quilts and Health by Marsha MacDowell, Clare Luz, and Beth Donaldson. More about this quilt and book is in this post. Simplifying the chakra symbols into their most basic elements, I used hand dyed fabrics to create Modern Mosaic Chakra. 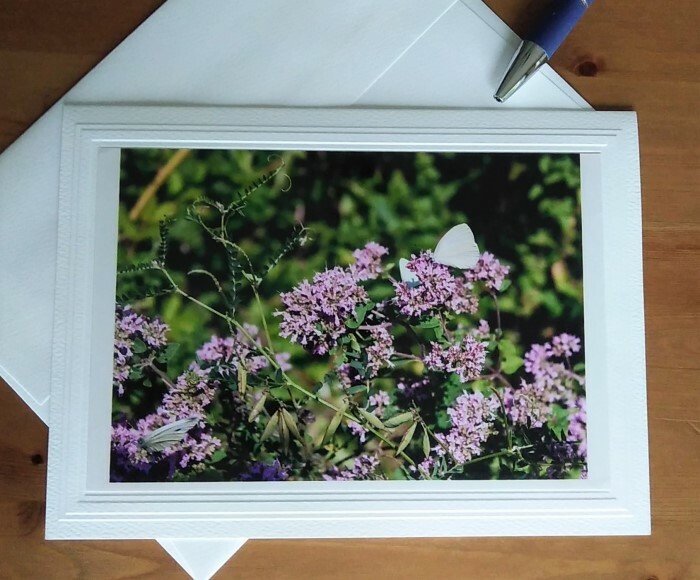 Each blank note card is 12.7 cm x 17.8 cm (5″ x 7″) and comes with an envelope. This Chakra series of cards as well as the Flora & Fauna series are available in my shop. While on vacation this summer, I took many, many photographs. I especially enjoyed photographing the beautiful flowers we saw on our travels. 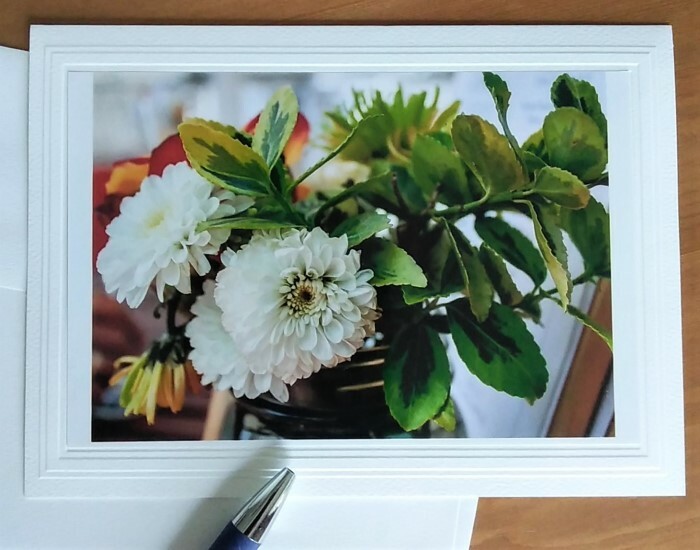 Each photo is mounted on heavy weight card stock with a beautiful embossed border. 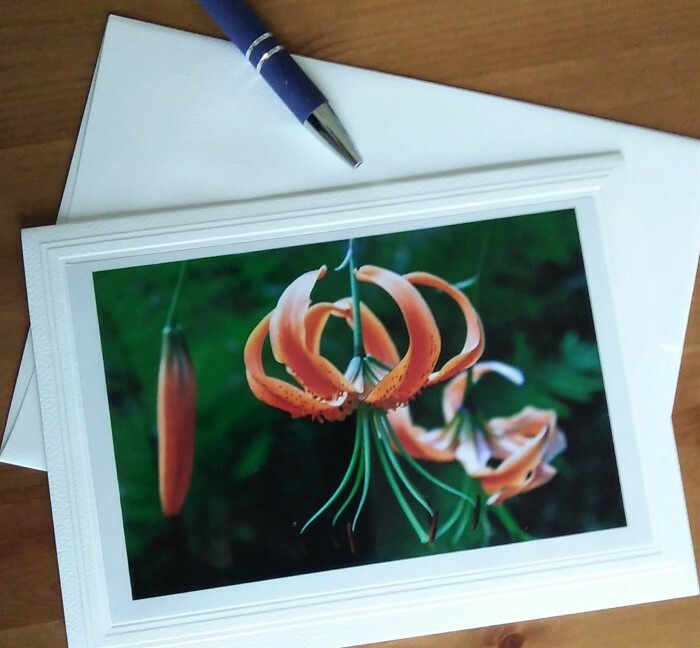 These original cards are blank inside so you can write your own personal message. 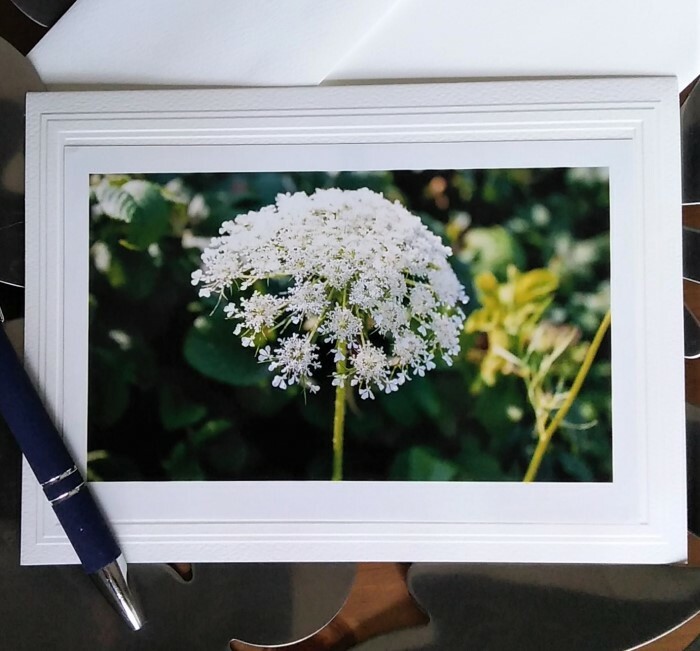 Each photo is an original print from the countryside of the East Coast of Canada. 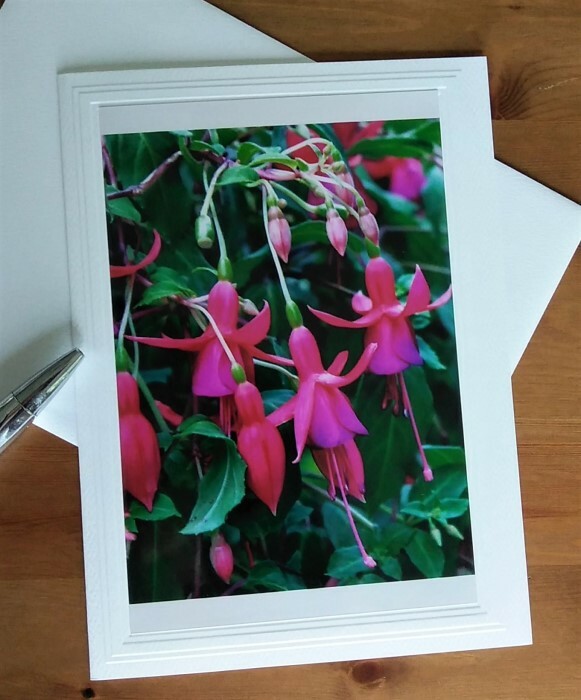 Each note card is 12.7 cm x 17.8 cm (5″ x 7″) and comes with an envelope. I will be adding these cards and more to my shop soon. Stop by and have a look.